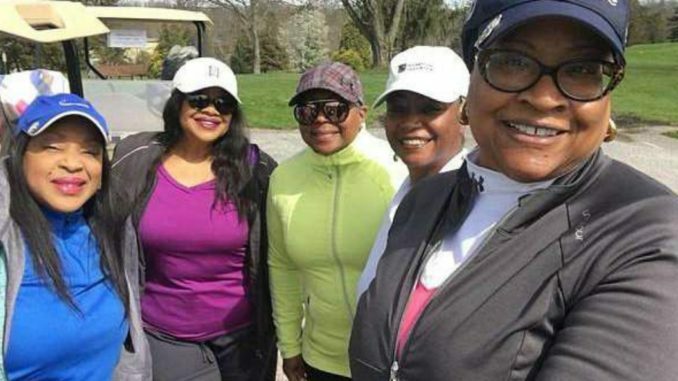 Of the group of Black women, who were all members of the golf club and have played golf around the globe, one of them is an attorney and the head of the York NAACP. You know you done messed up, right? Sisters In The Fairway is an experienced group of golfers who’ve been around for a decade. Five of them joined at Pennsylvania golf club Grandview Golf Club, where they all have paid memberships. At the 2nd hole, an older White man, identified as former York County Commissioner Steve Chronister approached the group, introduced himself as one of the owners (his son actually owns it) and told the ladies twice they needed to “keep up with the pace of the play”, says reports. A pro golfer present at the club confirmed the ladies they were keeping up just fine with the group ahead of them. The ladies decided to skip the third hole to avoid further issues. Chronister reportedly continued harassing them. Three women decided to leave while the other two played on. Traditionally, players take a break at the ninth hole before continuing the next nine of the eighteen holes. The group behind the women were on a beer break. Chronister approached the group again along with his son Jordan Chronister (co-owner of the club) and told the women they called the cops because the ladies were breaking too long and needed to leave. In the video below, you’ll see Jordan had to be pulled back as he kept getting in the woman’s face. Jordan’s father, the former commissioner told Jordan “back off, this is what she wants. This is what she does for a living”. Cops arrived and once they saw the women were breaking no laws, they left. The women, who are all in their fifties, publicly stated they felt discriminated against, as despite playing at the same pace as other players, they were the only ones who had police called on them. Steve Chronister’s Facebook page is filled with comments, labelling him a “racist”. His son, Jordan Chronister’s Facebook page has reportedly been deleted. Jordan Chronister’s wife “JJ Chronister”, who co-owns the club with her husband, called and apologized to each woman.